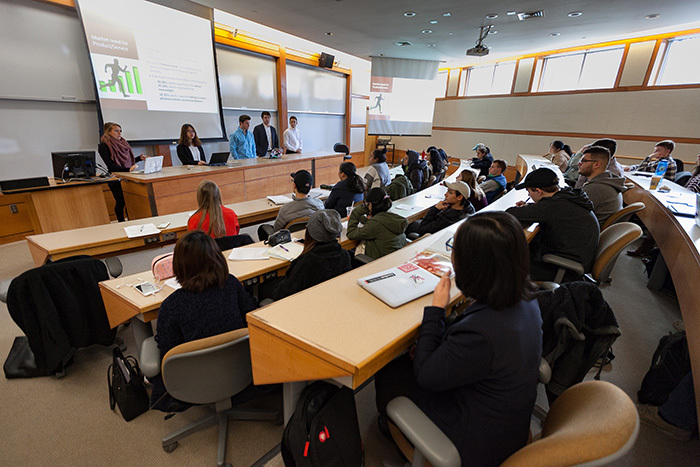 Students in an introductory course deliver original research to aid local small-business owners. Photo by Carl Socolow '77. The Dickinson education has been a wonderful experience. The way students engaged in the assignment and how professors interacted with us made a huge impact on me, especially as a business major. Teamwork was a big part of my experience. Communicated with major international clients daily to prepare and respond to all their requirements. Contacted co-workers to determine human resource allocation. Developed the fourth-quarter advertising campaign for clients. Assisted supervisor with time management and quality control. Organized weekly meeting including sending out emails and collecting required data, and participated in client-facing meetings. Being a teaching assistant for the Managerial Decision Making class and taking History of American Education class with [Associate] Professor Sarah Bair.